CLICK HERE: Our friends over at Wiltshire Defense just published an awesome BLOG about WHY they support The Mingle! Brian and I love the support from all the different people in our community! IT TAKES A VILLAGE! CLICK HERE: The Mingle made the WEEKEND KNOWLEDGE DUMP April 12, 2019! This is a weekly post from Greg Ellifritz of Active Response Training. Support Active Response Training on Patreon and become a monthly patron! WOW! This is so very cool! John Correia of Active Self Protection asked us if he could film a bit of Brian's 4 hour block at Rangemaster's Tactical Conference (Tac Con) in March 2019. We said SURE! We were FLOORED when we saw this video! We are humbled by these kind words from a nationally known instructor and educator like John! John, thank you for all you do to help educate self defense options through your ASP channels, presentations and live fire training. YOU my friend are making a difference. CLICK HERE: David Yamane of Gun Culture 2.0 write an article called Don't Be An Amateur, Support Racheal's Rest & The Mingle! This podcast focuses on the importance of the 2nd amendment, firearms safety, education, training and mindset. Our mission statement: Gun ownership is YOUR RIGHT, Safety and Education are YOUR RESPONSIBILITY. Brian has listened to this podcast for years. This show is top notch and he was so honored to be invited to share his thoughts. Guys, this was on his bucket list so THANK YOU Baraka! CLICK HERE: On Monday, March 11th, 2019 Brian was on the Polite Society Podcast with Paul Lathrop, Rob Morse, and Tracy Becker. They are an awesome group does does a great job of tag-teaming and asking good questions. Topic will include "Practice & Refinement for the Armed Citizen" at Tac Con 2019, "Developing the Concealed Draw" at The Mingle 2019, the importance of practice, The Mingle and the Nationwide Training GIVEAWAY! It was a ROCKING SHOW!! Brian comes on 44.40 into the show! CLICK HERE: On March 10th, 2019 6:30pm Shelley was on the air LIVE with Rob and Amanda of Eye on the Target Radio! They had some technical difficulties in the beginning but all got sorted out. Gotta love LIVE radio! They had Willes Lee of the NRA Board on the show as well! GOOD STUFF! 28 minutes and 25 seconds into the show is when Shelley was supposed to come on but for some reason they were unable to get me off hold so they started without me! HEEE! Shelley could not hear them but apparently they said some nice things about The Complete Combatant while they sorted it out. THANK YOU! Shelley actually came on at 30 minutes and 29 seconds into the show. We crammed as much fun as we could...Amanda even had to shut her up a couple times! Bahahahah! We love gabbing with Rob and Amanda! They are professional, inquisitive and supportive! Please consider listing to the entire show as it is packed full of good information and conversations. Shelley comes on 28 minutes & 32 seconds into the program and it is roughly 15 minutes long. THANK YOU Polite Society Podcast! Active Response Training with Greg Ellifritz: The Weekend Knowledge Dump December 28, 2019 mention's Brian and The Complete Combatant's "Why would I draw ONE HANDED"? video. VERY COOL! Here's another episode of Meet the Trainers for Rangemaster's Tac Con 2019 in New Orleans! Brian Hill will conduct a live-fire session called "Refinement and Practice for the Armed Citizen." Tac Con 2019 is SOLD OUT but if you registered then you can catch this four-hour block on Saturday afternoon. The 2019 Tactical Conference scheduled for March 15-17, 2019 (Friday through Sunday). This year, the Conference will be held at NOLATAC, just outside of New Orleans, Louisiana. As always, there will be classroom seminars, hands-on training segments, and a live-fire tactical pistol match scheduled over all three days. The facility has multiple classrooms and firing ranges, which will allow for concurrent blocks of live-fire classes, force-on-force scenarios, and classroom lectures (along with the pistol match). Participants may attend as many training blocks as time permits. All training segments, the pistol match, and a prize drawing are included in the entry fee. There are no other costs/fees. The Polite Society Podcast and Self Defense Radio Network, and the Second Amendment Foundation hosted the 2nd annual Alternative Mass Media Conventions (AMM-CON) 2018 workshop in Chicago September 2018. During that weekend I participated in Amanda Suffecool's Concealed Carry Fashion Show that VICE filmed. So this was fun! I was a "model"....bahahaha! Let's rephrase that, I was asked to model 2 items...eyes/ears and a concealment vest. It was tons of fun and I met a handful of peeps that have turned into friends. I was so very proud to be asked to present in the "self promotion" section at AMM-CON in Sept. 2018 and I am very happy to be invited back in Sept. 2019! here is my What's In Your Toolbox presentation (under 20 minutes) about making NEW contacts using the 4 tools I feel is very important....Education, Positive Energy, Confidence and Bravery! The Polite Society Podcast and Self Defense Radio Network, and the Second Amendment Foundation host the Alternative Mass Media Conventions (AMM-CON) workshops. Brian has been invited to present a 2 hour live fire session of his “Practice and Refinement for the Armed Citizen” at Rangemaster's Tactical Conference. The next Tac Con is March 15, 16 and 17, 2019 in NEW ORLEANS! CLICK HERE to check out who's presenting. It's a heck of a line up so far! CLICK HERE: Brian was honored to get a phone call a couple months ago from Tom Givens of Rangemaster and Tac Con asking if he would write an article for Rangemaster's Monthly Newsletter. This was an amazing opportunity which caused for great thought and attention. Brian submitted UNIQUE CHALLENGES. We were very pleased that Tom thought it was an excellent article and published it in September 2018's issue. CLICK HERE: GREAT interview with John Correia, Lee Weems , Spencer Keepers and Allen Sams. 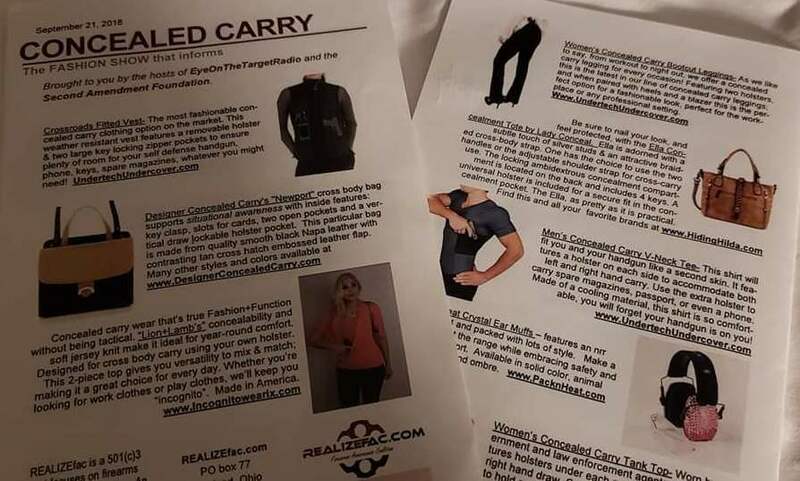 This "Latest News" post is really all about John Correia of Active Self Protection. John founded Active Self Protection in 2011 to teach people in all walks of life to develop the attitude, skills, and plan to defend themselves and their families from harm. The Complete Combatant was mentioned, which is very exciting to have such wonderful support, but we are really posting this to support our dear friend(s) and what he/they offer the community. CLICK HERE: What an honor it was to have Tom Watson (writes for USCCA Concealed Carry Magazine) ask Brian for an interview for Tom's next article called "IN THEIR WORDS: Optimums for the Average CCW Citizen". This is great insight to proper firearms training, Instructor selection, women training, and more. Tom's article starts on page 142. ENJOY! Thank you Beth and Tom for such a wonderful opportunity to help others! CLICK HERE: This s a fun interview with Brian and Arms Room Radio out of Florida. Kevin Maxwell traveled to Georgia to attend a Complete Combatant weekend course and then requested Brian come on their show the following week for a verbal "after action report". It was a great time by all! Brian comes on about 29 minutes into the show. CLICK HERE: Great vid with John Correia of Active Self Protection and Brian Hill talking a bit about MOVEMENT in your Dry Fire drills. CLICK HERE: Thank you thank you thank you Beth Alcazar of USCCA and Pacifiers & Peacemakers for an awesome write up about The Mingle 2018!! The Complete Combatant is having a BLAST putting this on and we look forward to The Mingle 2019! BIG BIG BIG stuff happening! WHOOT! CLICK HERE: What a riot! For some unknown reason I was invited back to gab with Rob and Amanda of Eye on the Target Radio! Bahahahah! They are a wonderful "brother & sister" team that I just adore. Today we discussed The Mingle 2018, Fundraisers for The Mingle and Racheal's Rest, 2019 The Mingle goals, and Proactive Mindset. CLICK HERE: This "Latest News" post is really all about Lee Weems of First Person Safety. Lee is a dear friend and an excellent instructor. This is a fantastic interview by Civilian Carry Radio. We are posting Lee's interview here because he mentions Brian and Shelley several times. He tells stories of our time together on the range and more. We support Lee and Lee supports us....thats what friends do! CLICK HERE: This is Part 2 of Firearms Chat Podcast Instructors Series . Greg & Dr Bill Interview Brian Hill Of the Complete Combatant, they cover the two Most recent Shootings, the joy of teaching, and much much more. CLICK HERE: I am so very honored to be invited back to Gun Freedom Radio with Cheryl Todd to speak about The Mingle, our featured guest speaker Claude Werner and our 2018 Nationwide Training ONLINE RAFFLE. My segment is the first one up (18.40 seconds) and is about 13 minutes long. Please consider listening to the whole show as GFR does not disappoint! CLICK HERE: I am not really sure what to say about this interview other than IT WAS A BLAST!! We talked about singing, dancing, pasties and MORE! Oh, and of course The Mingle and the Nationwide Training ONLINE RAFFLE! Bahahah! Thank you Amanda and Rob for putting up with me and I will see you here in Atlanta in May and Chicago in September!! CLICK HERE: Marty Hayes is the President of Armed Citizens' Legal Defense Network, INC. and he wrote up a special article in the ACLDN E Journal April 2018 edition called "Have you donated to a good cause lately". This is an amazing write up about The Mingle, The Complete Combatant, Racheal's Rest and the Nationwide Training ONLINE RAFFLE! ACLDN is not only a SILVER sponsor at our event but they also donated a YEARS MEMBERSHIP for us to raffle off (proceeds benefit The Mingle and Racheal's Rest). THANK YOU MARTY for your support and going the extra mile to raise awareness. CLICK HERE: Brian and Cheryl of Gun Freedom Radio spend a few minutes talking about pistol fundamentals and safety. She is an amazing lady and we both enjoy spending this with her as friends and as guests. Episode 104 is a fantastic episode with our dear friend Craig "Sawman" Sawyer as well as Brian.....CHECK IT OUT! CLICK HERE: Shelley and Paul of Polite Society Podcast gabbed briefly about The Mingle but went into full details about the Nationwide Training ONLINE RAFFLE! This was a really fun interview with a really great guy! I am proud to call Susan and Paul Lathrop friends and feel blessed to have their support. CLICK HERE: Brian Hill and Jerry Henry of GeorgiaCarry.Org Radio Hour had a great time talking about words, frames, sprays, tourniquets, phones and the essential accessories for the armed citizen. Thank you Jerry and GCO for the opportunity to share. There are people who don’t even know you who care about you, who believe in you, and are ready to help you. There are hotlines, shelters, long-term residential facilities and caring people who will walk with you on your journey. Your journey OUT begins a long time before you actually WALK OUT THE DOOR. CLICK HERE for Part 1 & CLICK HERE for Part 2: The Polite Society Podcast invited Dr. William Aprill of Aprill Risk Consulting and Shelley Hill of The Complete Combatant & Racheal's Rest to discuss Domestic Violence/Intimate Partner Violence. In November, Jennifer Smith was murdered by the hands of her husband before he ended his own life. Jennifer was a founding member of the San Antonio A Girl and A Gun Women's Shooting League Chapter and participated in many training events around the country. Our prayers are with her 3 young daughters, her friends & family and for all the people who's lives she has touched. William and Shelley honor her memory by discussing many different avenues of Intimate Partner Violence with one goal in mind.....to help as many listeners as possible. 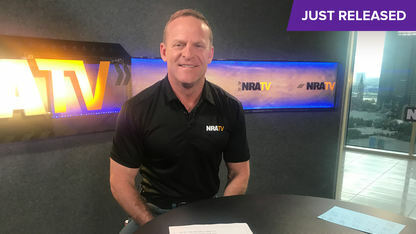 CLICK HERE: Cheryl Todd of Gun Freedom Radio invited Brian Hill of The Complete Combatant to join her via ZOOM VIDEO to talk about how we can stay safe & defend ourselves while traveling this Holiday Season. We are disarmed on our way to & from airports…we are going to unfamiliar places and wearing more and heavier clothing than usual, including coats and gloves. What common items can be used as tools of defense…what role do our smart phones play…are we situationally aware from store to car? This and so much more! CLICK HERE: The Complete Combatant traveled to Birmingham, AL for our 1.5 day course and had a GREAT training weekend with a very diverse group of students. One of the participants was Beth Reoch Alcazar of GunBlog VarietyCast Radio and Pacifiers & Peacemakers BLOG. Beth was not only a student that weekend but also our GUEST SPEAKER focusing on "AWARENESS". Beth's cool review is the first official segment on the podcast (roughly 8 minutes long) but please listen to the whole show! The whole crew is top notch! 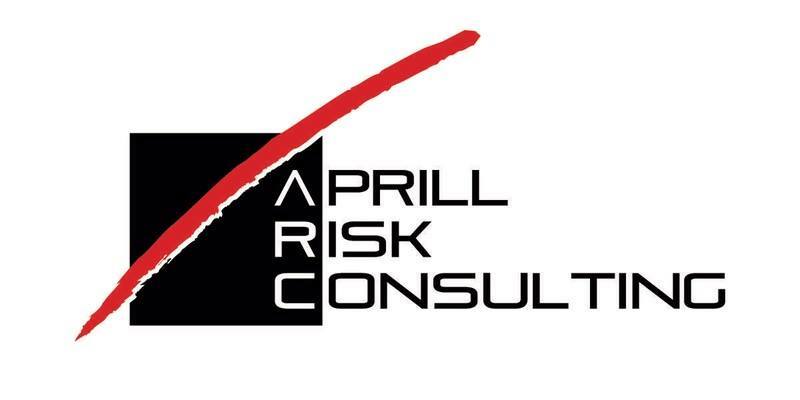 CLICK HERE: Brian had a great conversation with Arms Room Radio about an upcoming 2 day course called UNTHINKABLE with William Aprill of Aprill Risk Consulting and his thoughts on the tragic event in Vegas in October 2017. We also wanted to THANK Kelly Camp Weatherford for the introduction. 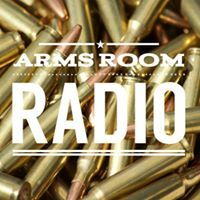 Brian really enjoyed speaking with the team over at Arms Room Radio and he hopes to be invited back! Podcast regarding our JOINT class with William Aprill of Aprill Risk Consulting. We invite you to listen to the full podcast and are first up on the interview list and it lasts about 19 minutes. CLICK HERE: Brian was invited to GeorgiaCarry.Org Radio Hour with Jerry Henry and we JUMPED at the chance! What an amazing opportunity to speak to so many 2nd Amendment supporters about training, safety, helpful tidbits and MORE! You are invited to join Brian on Saturday, August 5th at The Galleria for GeorgiaCarry.Org's annual convention. Brian will be presenting a shortened version of our Proactive Mindset from 10:00 – 10:50 AM in the Highlands Room. The Complete Combatant is very proud to be GOLD sponsors! THANK YOU GCO for all you do for Georgia and our community! CLICK HERE: This is a great LIVE ZOOM interview with Cheryl Todd of Gun Freedom Radio and Shelley Hill. The topic was women gaining knowledge, impacting communities and training with The Complete Combatant via discussion and videos. Thank you Cheryl, you are an amazing lady! FUN SHOW!! The WM&M introduction come in at about 50 seconds but the full WM&M AAR segment come in at 7. 10 seconds! The Polite Society Podcast has a Defensive Gun Use (DGU) section at the end of many podcasts. They are starting something NEW! This will be a group discussion with a guest speaker and Brian Hill was the FIRST instructor to be invited! Thank you Paul Lathrop and The Polite Society Podcast for this opportunity! Podcast Episode 409. The DGU Segment is #6. Check it out!!! Shelley Hill was interview by Grant of NRATV! They were interested in my thoughts on Ga Carry Campus Law and protecting ourselves using my Racheal's Rest and The Complete Combatant's background. Thank you to NRA Liaison Catherine Mortensen for helping me all the way! Eye on the Target Radio with Amanda Suffecool and Rob Campbell interviewed Brian Hill on how The Complete Combatant came about. Here is the Faster - Hill interview from 04-24-17. He comes on around 4.34 seconds. Thanks guys for this opportunity!! The Polite Society PODCAST with Andrew Branca of The Law of Self Defense - Podcast Episode 406. Great interview about The Laws of Self Defense with a "mention" of Brian and Shelley Hill and "making people angry" around 57.53 seconds into podcast. Thanks for the shout out Andrew! The Atlanta Journal Constitution contacted Shelley Hill and wanted to know her thoughts on the NEW Campus Carry Law in Georgia. Thank you to Catherine Mortensen, NRA's Media Liaison, for your support! GA Firing Line's MAD MINUTE with Tommy Figueroa talks about "the importance of good training". Thanks to the shout of Tommy and GA Firing Line! We practice there weekly and we know Gedde Wilson and Peter Renwick. There is no doubt that you will get GREAT INSTRUCTION from both! John Correia of Active Self Protection interviewed Brian Hill LIVE at the NRA convention in Atlanta April 2017. The focus of this live video was what The Complete Combatant had to offer the community and what Brian's thoughts are on the different ways to train. Thank you John and ASP for opening up EYES and making people think about things in a different light. Paul Lathrop of The Polite Society Podcast interviewed Shelley Hill for their Podcast Episode 407. Thank you Paul and The Polite Society Podcast for their support of The Complete Combatant and our new event! Paul Lathrop of The Polite Society Podcast interviewed Brian Hill for their Podcast Episode 405. The focus of this interview was not a specific subject but The Complete Combatant as a whole. The full episode is well worth listening to but if you are short on time at the moment, feel free to jump in right here for Brian's 20 minute segment. Big thanks to Paul and The Polite Society Podcast for all they do for our community! It is the 200th episode and season finale of Ballistic Radio! John, Jack and Melody are answering your questions in this special Facebook User episode. The team answers questions about medical gear, leather and kydex holsters, what they have learned in the last few years of training and what challenges the industry is facing. JackJack talks about training with Brian Hill of Fusion MMA and The Complete Combatant. You will hear his thoughts starting around 17:30. Thanks for the shout out Jack! Brian Hill attended Tom Given's 2017 Rangemaster's Tactical Conference located in Little Rock, AR. He competed in the Polite Society Pistol Match and came in 24th out of 207 competitors. Congrats to all who competed and he looks forward to working towards being in the top 20 next year! Great interview about Police-Citizen Contacts with a "mention" of The Complete Combatant around 7.40 seconds into podcast. Thanks for the shout out Lee! This is a VIDEO BLOG that was posted of Brian Hill and Andrew Branca of Law of Self Defense saying a few words regarding the "3 legs of training" and the importance of "combatives". Brian Hill of The Complete Combatant and Fusion Fitness and Mixed Martial Arts was contacted by Cheryl Todd of Gun Freedom Radio and AZFirearms.com to get his thoughts about the topic of incorporating firearms into your physical fitness routine for a BLOG she was writing for Women's Outdoor News. He was happy to say a few words for Cheryl's BLOG for The WON...Women's Outdoor News. The Tactical Professor is Claude Werner. His background combines extensive work in the military, self defense training, and white collar financial services communities. This eclectic experience base gives him a view of self defense equipment and techniques that is more attuned to the needs of people with median lifestyles than some segments of the industry. Claude is a guest speaker and an alumni of The Complete Combatant and Proactive Mindset. This is an article Claude wrote after he attended, as a student, our Proactive Mindset class. THE COST OF KILLING. This is an article Claude wrote after a guest lecture at a Proactive Mindset class. INTERVIEW WITH A FUTURE CRIMINAL. On Saturday, January 14th, 2017 Brian Hill of ﻿The Complete Combatant ﻿& Fusion Fitness and Mixed Martial Arts was one of 4 guests on Gun Freedom Radio with Cheryl Todd. This was a LIVE show with the focus on "Fitness and Firearms".